The new towns in the United Kingdom were planned under the powers of the New Towns Act 1946 and later acts to relocate populations in poor or bombed-out housing following the Second World War. They were developed in three waves. Later developments included the expanded towns: existing towns which were substantially expanded to accommodate what was called the "overspill" population from densely populated areas of deprivation. Designated new towns were removed from local authority control and placed under the supervision of a development corporation. These corporations were later disbanded and their assets split between local authorities and, in England, the Commission for New Towns (later English Partnerships). Letchworth, Hertfordshire (founded in 1903 through the Garden city movement). 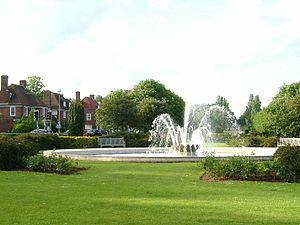 Welwyn Garden City, Hertfordshire (founded in 1920 through the Garden city movement). 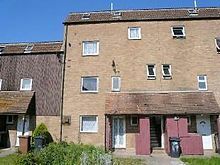 Out-county London County Council housing developments, of which Becontree, Dagenham, was the largest. It was built in the 1920s and 1930s. Wythenshawe was built on what used to be Cheshire land in the 1920s as a Manchester overspill estate, but was not completed until the early 1970s. Other Manchester overspill estates include Hattersley, Gamesley, and Haughton Green. Castlemilk, Drumchapel, Easterhouse and Pollok in Glasgow. Castle Vale in Birmingham, which was built in the 1960s in the extreme north-east of the city. The first wave was intended to help alleviate the housing shortages following the Second World War, beyond the green belt around London. A couple of sites in County Durham were also designated. These designations were made under the New Towns Act 1946. The second wave (1961–64) was likewise initiated to alleviate housing shortfalls. Two of the locations below (Redditch and Dawley New Town — later renamed Telford) are situated near the West Midlands conurbation; another two (Runcorn and Skelmersdale) are near Merseyside and were intended as overspill for the city of Liverpool. Many towns such as Cramlington, Killingworth, and Tamworth were expanded from the 1960s by local authorities, but were not designated new towns. The third and last wave of new towns (1967–70) allowed for additional growth chiefly further north from the previous London new towns, with a few developments between Liverpool and Manchester, namely "Central Lancashire" and Warrington. Dawley New Town was redesignated as Telford New Town, with a much larger area, as overspill for Birmingham and nearby towns including Wolverhampton. About halfway between Birmingham and London was the new town of Milton Keynes (which took its name from a village in the area, but also swallowed up existing towns Newport Pagnell and Bletchley), while nearer to Birmingham, the existing town of Northampton was expanded. In East Anglia, the existing town of Peterborough was designated as a new town to accommodate overspill from London. Although not officially a new town, the expansion of Tamworth in Staffordshire (some 15 miles north of Birmingham) during the 1960s, 1970s and 1980s mirrored that of a new or expanded town, and it was mostly populated by people who had previously lived in or near Birmingham. Poundbury is an experimental new town or urban extension on the outskirts of Dorchester. The development is built on land owned by the Duchy of Cornwall. It is built according to the principles of Prince Charles, who is known for holding strong views challenging the post-war trends in town planning that were suburban in character. On 13 May 2007, chancellor Gordon Brown, who became Prime Minister of the United Kingdom the following month, announced he would designate 10 new "eco-towns" to ease demand for low-cost housing. The towns, around 20,000 population each — at least 5,000 homes — are planned to be "carbon-neutral" and will use locally generated sustainable-energy sources. Only one site was identified in the announcement: the former Oakington Barracks in Cambridgeshire - the already planned Northstowe development. Local councils will be invited to provide sites for the remaining four towns. The Town and Country Planning Association is advising the government on the criteria and best practice in developing the eco-towns by producing a series of "worksheets" for developers. In September 2014 the CBI called for all political parties to commit to building 10 new towns and garden cities to get to grips with the country's housing shortage. Six new towns in Scotland were designated between 1955 and 1973, mostly for the overspill population of Glasgow. The New Towns Act (Northern Ireland) 1965 gave the Minister of Development of the Government of Northern Ireland the power to designate an area as a new town, and to appoint a development commission. An order could be made to transfer municipal functions of all or part of any existing local authorities to the commission, which took the additional title of urban district council, although unelected. This was done in the case of Craigavon. The New Towns Amendment Act (Northern Ireland) 1968 was passed to enable the establishment of the Londonderry Development Commission to replace the County Borough and rural district of Londonderry, and implement the Londonderry Area Plan. On 3 April 1969, the development commission took over the municipal functions of the two councils, the area becoming Londonderry Urban District. While many New Towns have been economically successful, most now are experiencing major problems. Their design is inappropriate to the 21st Century. Their infrastructure is ageing at the same rate and many have social and economic problems. Many are small local authorities which do not have the capacity to resolve their problems. Their attempts to manage the towns are complicated by the role played by English Partnerships which still has major landholdings and other outstanding interests. 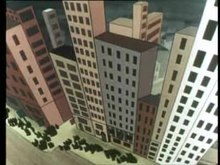 The new towns are no longer new and many of the quickly built houses have reached the end of their design life. The masterplans dictated low density development with large amounts of open space, and housing segregated from jobs, shopping and business services. These created a car dependency and are now not considered sustainable. Low density developments are expensive to maintain. Roads and sewers are in need of expensive upgrades. ^ "No. 37785". The London Gazette. 12 November 1946. p. 5536. ^ "No. 37849". The London Gazette. 10 January 1947. p. 231. ^ "No. 37875". The London Gazette. 7 February 1947. p. 664. ^ "No. 37918". The London Gazette. 28 March 1947. p. 1451. ^ "No. 37940". The London Gazette. 25 April 1947. p. 1858. ^ "No. 38299". The London Gazette. 25 May 1948. p. 3136. ^ "No. 38507". The London Gazette. 7 January 1949. p. 145. ^ "No. 38647". The London Gazette. 21 June 1949. p. 3078. ^ "No. 38878". The London Gazette. 4 April 1950. p. 1671. ^ "No. 42484". The London Gazette. 10 October 1961. p. 7296. ^ "No. 42898". The London Gazette. 18 January 1963. p. 589. ^ "No. 43296". The London Gazette. 14 April 1964. p. 3201. ^ "No. 43394". The London Gazette. 28 July 1964. p. 6416. ^ "No. 44233". The London Gazette. 24 January 1967. p. 827. ^ "No. 44377". The London Gazette. 1 August 1967. p. 8515. ^ "No. 44529". The London Gazette. 20 February 1968. pp. 2088–2089. ^ "No. 44576". The London Gazette. 30 April 1968. p. 4907. ^ "No. 44735". The London Gazette. 13 December 1968. p. 13433. ^ "No. 45079". The London Gazette. 14 April 1970. p. 4187. ^ "The Times & The Sunday Times". thetimes.co.uk. Retrieved 8 April 2018. ^ "No. 38756". The London Gazette. 8 November 1949. p. 5318. ^ "No. 44482". The London Gazette. 28 December 1967. p. 14168. ^ "No. 16436". The Edinburgh Gazette. 9 May 1947. p. 189. ^ "No. 16556". The Edinburgh Gazette. 2 July 1948. pp. 299–300. ^ "No. 17351". The Edinburgh Gazette. 13 December 1955. p. 746. ^ "No. 19218". The Edinburgh Gazette. 19 March 1973. p. 398. ^ "No. 18025". The Edinburgh Gazette. 17 April 1962. pp. 236–237. ^ "No. 18509". The Edinburgh Gazette. 11 November 1966. p. 846. ^ "No. 19294". The Edinburgh Gazette. 14 August 1973. p. 951. ^ a b Cameron Report 1969, Appendix para.33. ^ "No. 2317". The Belfast Gazette. 6 August 1965. p. 274. ^ Regions Nineteenth Report 2002, para.2. ^ Regions Nineteenth Report 2002, para.13,14.